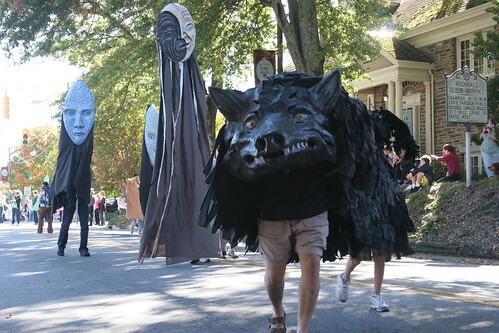 The Handmade Parade – Giant Puppets Take Over Hillsborough! Two weeks ago I was thumbing through the Independent Weekly and came across an ad for an event that caught my eye. It was for the 3rd annual Handmade Parade in Hillsborough. I pulled up the event website and knew this was something I needed to be a part of. 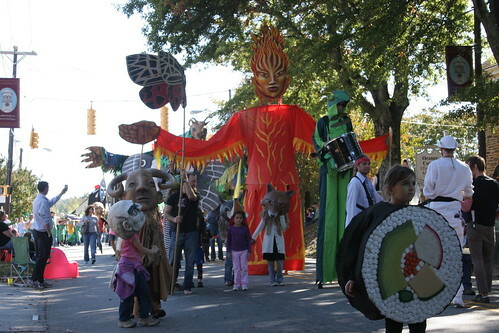 The parade is organized by the Hillsborough Arts Council and fills the streets of downtown Hillsborough with gaint puppets and costumed creatures marching along to festive music. 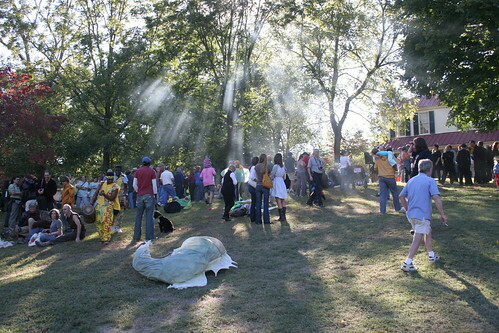 The parade is a described as a “walking theatrical performance. A spectacle of art, creativity, and public theatre”. 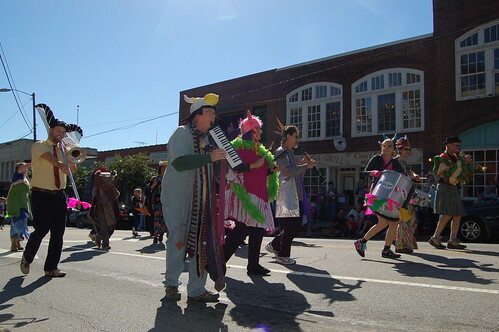 The themes of this year’s parade was “Eno River Rythms” and the parade was full costumes of snakes, frogs, and other wildlife creatures. Other creations were larger than life large puppets of animals and butterflies supported by four to six people marching them along the parade route. I joined in on the fun by playing my trombone with a cool muscial group out of Durham called The Bulltown Strutters. This was the group’s first offcial public performance. This rag tag group of musicians and strutters have all the makings of a New Orleans style “Second Line” parade band and entertained the crowds with renditions of songs like “Lil’ Liza Jane”, “Iko Iko”. and “When the Saints Go Marching In”. Keep an eye out for the strutter’s next performance in the Durham Holiday Parade on December 4th.